When you sustain an injury at your job, you are entitled to seek and apply for worker’s compensation benefits under Nevada’s worker’s compensation laws. However, you’ll have to prove that your injury is work-related. Sometimes, worker’s compensation benefits are delayed, mistakenly denied, or entirely cut off. Workers’ compensation law is complicated, and even completing the application forms can be genuinely difficult. If you sustain a work-related injury in the Las Vegas area, or if you’ve already been denied workers’ compensation benefits, or they’ve been cut off, the Fletcher Firm can guide you through the workers’ compensation process and, if necessary, fight aggressively on your behalf for the benefits you need and deserve. Inform your employer. Immediately tell your supervisor, manager, foreperson, or HR department about your injury or illness, even if you think it’s trivial. Fill out the initial workers’ comp application. Make a copy for yourself before you return it to your employer. If you get help from a workers’ comp attorney right away, your attorney can see to it that your application is accurate and complete. If it isn’t, your benefits could be delayed. Plan to appeal any denial of your claim. Claims that are initially rejected are often awarded after an appeal. Let an experienced Las Vegas workers’ compensation attorney help you with an appeal if your claim is rejected. It doesn’t matter who was “at fault” for your work-related injury. If you can prove that you were injured or became ill in the course of your work or because of it, you are entitled to workers’ comp benefits. Depositions: Depositions are taken under oath. If you aren’t honest in a deposition, you could be charged with perjury, and you could be denied workers’ compensation benefits. Let an experienced workers’ compensation attorney prepare you for your deposition and accompany you there. Personal calls and visits: If you file a workers’ compensation claim, expect an insurance adjuster to telephone or visit you to obtain a statement regarding your medical treatment or condition. Politely refuse to cooperate. Explain that you must speak with your attorney before making any statement. Then consult promptly with your workers’ comp lawyer. Observation: Insurance investigators with cameras often follow people who claim to be injured, trying to catch them working hard or playing hard. If you haven’t told the truth, the evidence an investigator gathers could mean the loss of your workers’ comp benefits. Also be extremely cautious with anything you post to Facebook or Twitter. When you file a workers’ compensation claim in Nevada, you are not required to have an attorney’s help. However, applying for workers’ comp benefits is a complicated and sometimes baffling procedure, and any mistakes that you make could delay your benefits or even result in your application being denied. An experienced workers’ comp lawyer can review your application, show you precisely how to proceed, and ensure that you meet important deadlines. Generally speaking, any significant workplace illness or injury is covered by workers’ compensation, while a brief illness or a minor injury is not. If any detail of your workers’ comp claim is disputed by your employer or your employer’s insurance company, you really must obtain legal counsel at once. Workers’ compensation claims are occasionally turned down after a claim administrator’s review of the case or on the basis of the medical exam itself. If that happens to you, let a workers’ compensation attorney schedule another doctor to examine you. Your workers’ comp lawyer can also review your case to see if you were turned down for benefits because of an error on the application form or because of any other misunderstanding or miscommunication. If your workers’ compensation claim was turned down because the claims administrator reviewing your case made a mistake, a good workers’ comp attorney will find that mistake and rectify it. If you have been denied workers’ comp benefits for any reason, a good workers’ compensation attorney can appeal the decision on your behalf and fight aggressively for the full benefits you need and deserve. But don’t wait until your claim has been rejected – if you’re injured at work in the Las Vegas area, immediately after receiving medical treatment, speak to an experienced Las Vegas workers’ compensation attorney. Injured workers in Nevada may pursue a personal injury claim separately from their workers’ compensation claim. Workers’ compensation benefits are minimal, so workers’ comp does not compensate you for your suffering or pain, does not provide punitive damages, and does not hold employers accountable when they’ve allowed dangerous workplace conditions to persist. Our Las Vegas workers’ compensation attorneys combine more than half-a-century of legal experience to serve our clients. Our goal is to help you obtain the workers’ compensation benefits that you need and deserve, and to save you from needlessly wasting your time, financial resources, and emotional energies. We are here today to assist you. 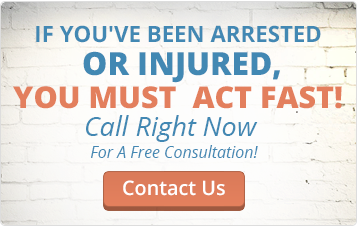 Call us for your consultation today at (702) 835-1542 or at (702) 333-6339, or fill out the Free Case Evaluation form, and we will reply to you quickly and completely. If you have been injured in the workplace and you need workers’ compensation, we want to speak with you.